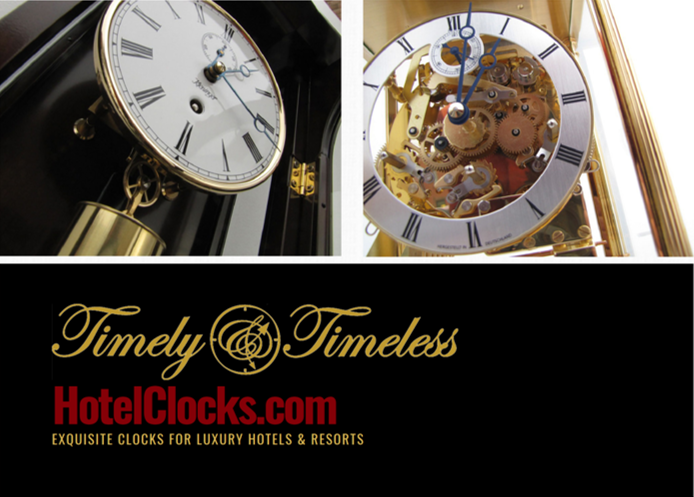 A good example is the Kieninger Traditional Grandfather Clock with Triple Chimes on a 12 Rod Gong in Walnut Burl. 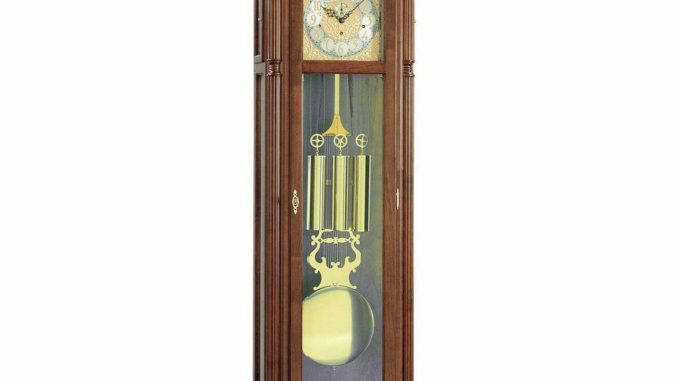 The clock is an impressive, big walnut finish floor clock with elaborate inlays, walnut burl surrounds the pediment and base, beveled crystal glass, exclusive moon dial with applied milled and gold plated decorations and Arabic numerals, 27 cm lyre pendulum. The clock is fitted with Kieninger exclusive KSU33 4/4 cable movement with triple chimes (Westminster, St. Michael and Whittington) on 12-rod gong, 6 bronze bushings, automatic chime sequence, automatic beat adjustment, maintaining power, true second and automatic night time shut-off.